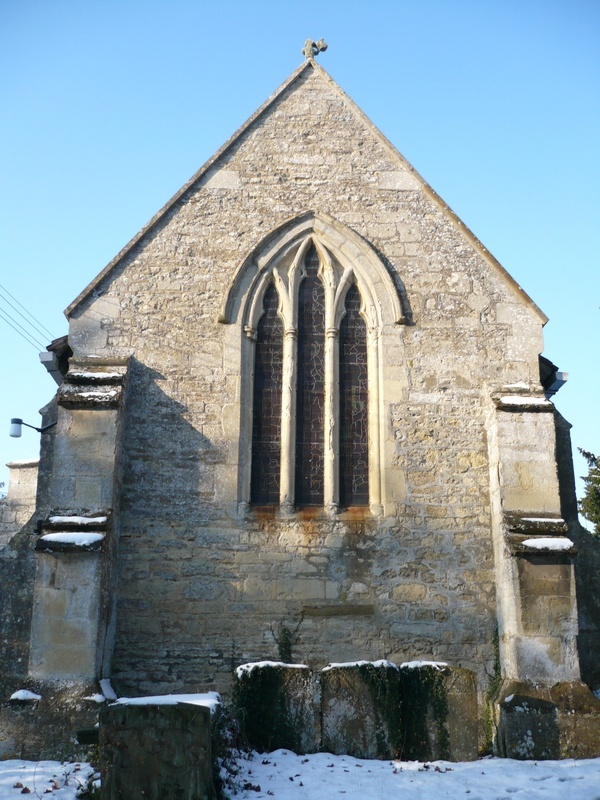 The church of St Nicholas is a Grade II* listed building constructed of random and coursed limestone rubble with ashlar dressings; old plain-tile and Welsh-slate roofs. 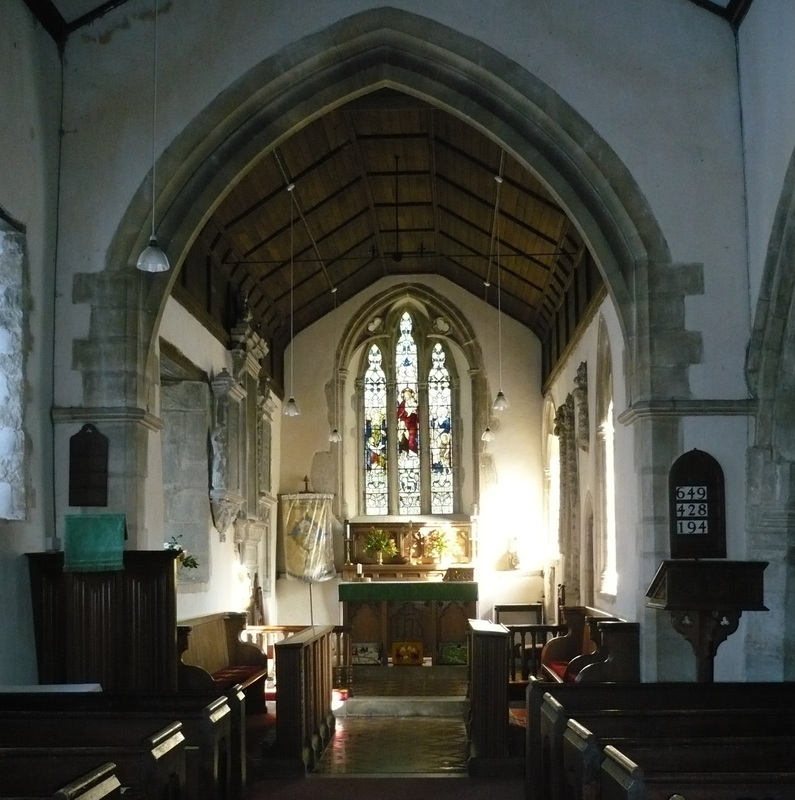 It comprises a south porch, south aisle, nave, low embattled west tower and chancel. A 19th-century porch, with square traceried openings, shelters a 14th-century south doorway, with continuous moulding. 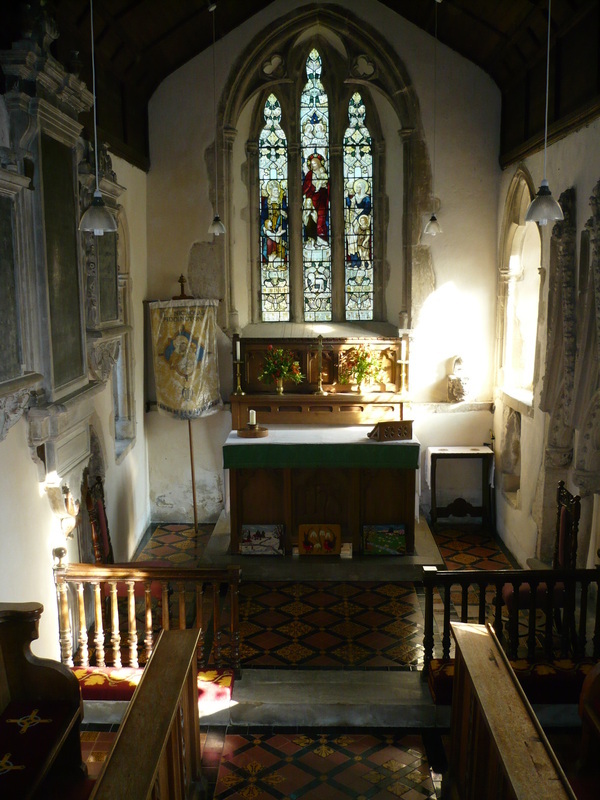 The south aisle has two plain lancet windows, which may have been removed from an older building and inserted into this later wall, plus a 14th-century window of two ogee-headed lights. A similar window facing west may be 19th century. The four-bay 14th-century south arcade has octagonal piers with moulded capitals. 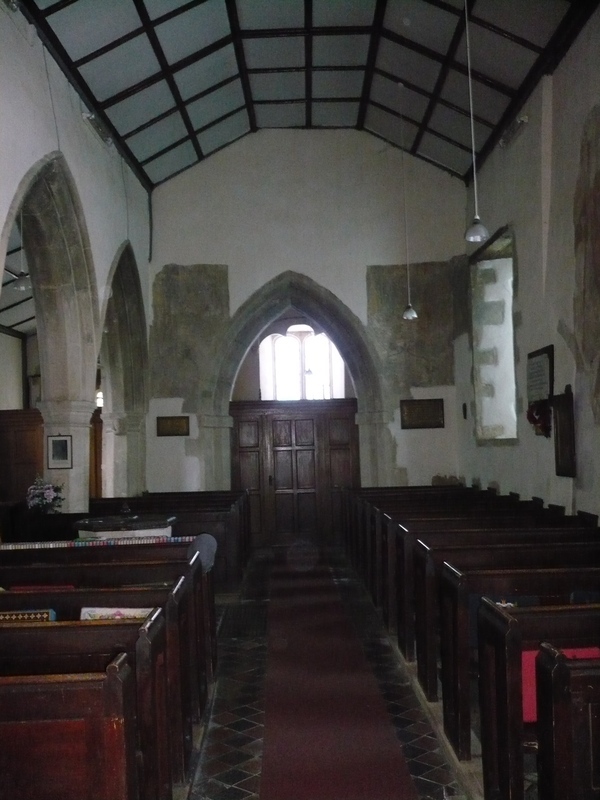 The late 13th or early 14th century nave is plain, which makes it hard to date. The north wall has heavy buttresses, two square-headed windows (one with Perpendicular tracery) and a single light contemporary with the tower (16th century). 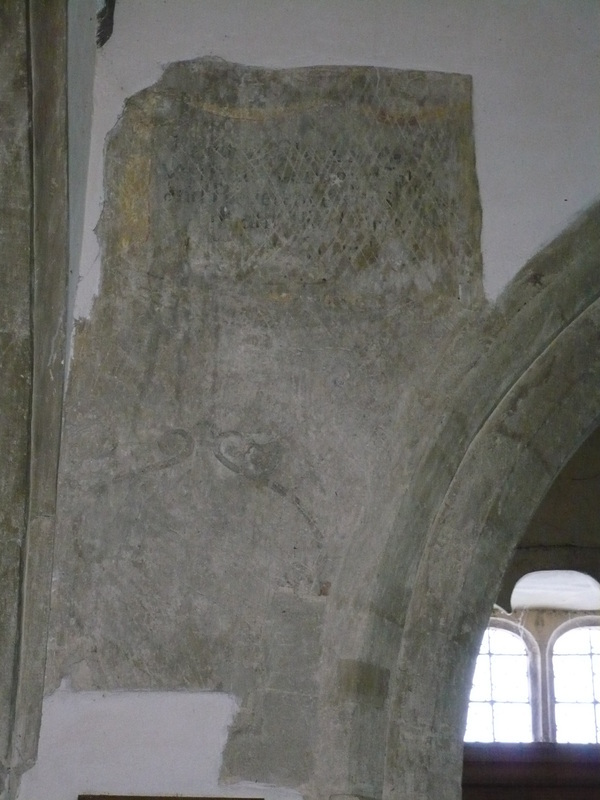 Interesting features include a medieval octagonal chalice-shaped font and traces of a door, on the north wall of the nave, that has been blocked in and covered with a 14th-century wall painting of St Christopher. The roof is modern. The plain and squat two-stage 16th-century tower, with diagonal buttresses and crenellated parapet, has single-light bell-chamber openings and a two-light west window, all with three-centred arches, and has a four-centre arched west doorway with shields in the spandrels. Its doorway was blocked up in 1826. 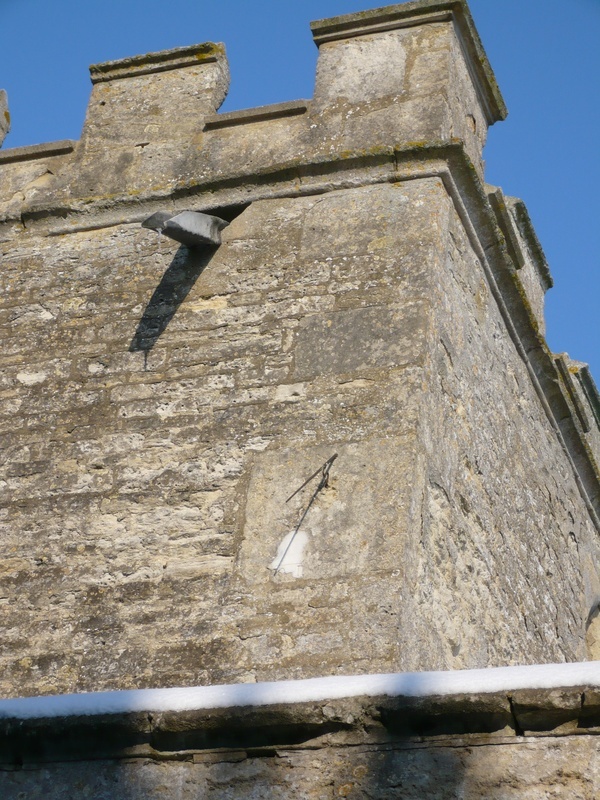 The tower has a fine ring of five bells. In 1553 the tower contained three small bells, a sanctus and hand-bells. Two bells were recast at Bicester bell foundry in 1729 and 1738. The other was recast at Bristol in 1887, when two more were added. 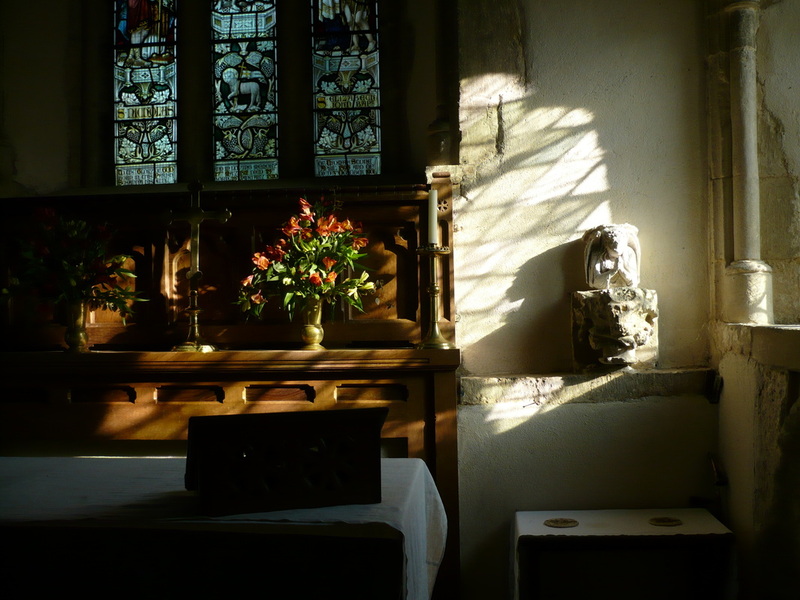 The church bells are in still in use, and bell-ringers practise most Wednesdays throughout the year. Two texts on the walls near the entrance to the belfry are dated 1665. 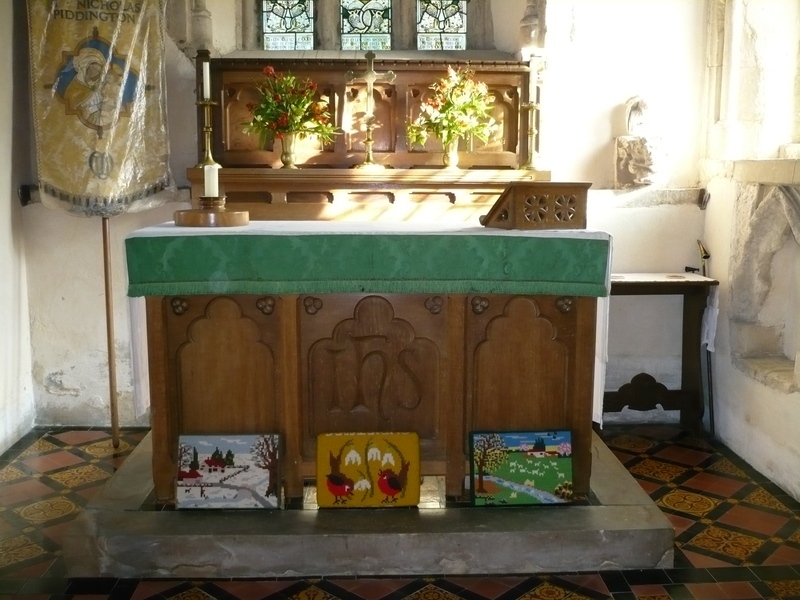 The gem of the church is its Early English chancel, which dates from about 1300 and has plinth and stepped angle buttresses. Its four original windows are of a charmingly peculiar design, with good mouldings and the unusual features of cusped drop arches towards the inside. The east window has three grouped trefoiled lancets below an outer arch, and, to the south, has two similar two-light windows with trefoils in their heads; all have engaged shafts supporting tracery rolls. 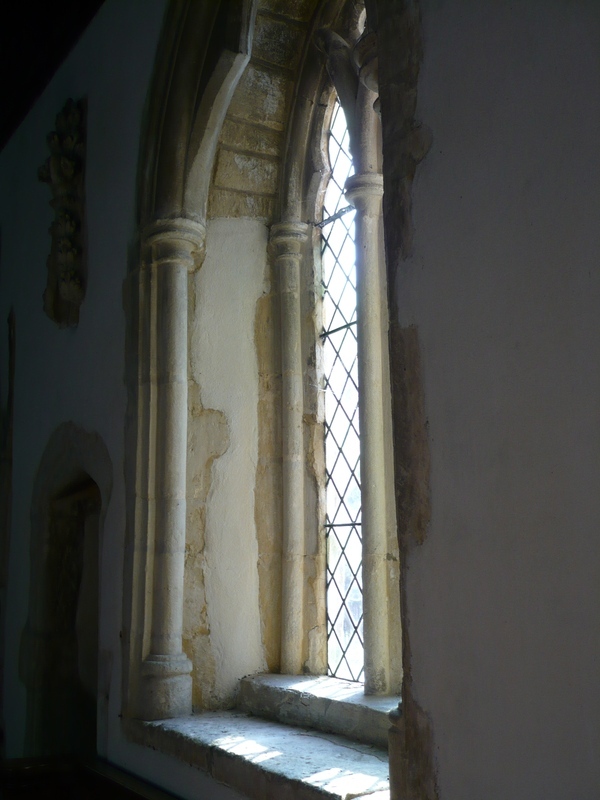 To the north is a similar lancet plus a two-light 15th-century window. The roof, from its construction, appears to be original. Other interesting features are the fine double sedilia, piscina and Easter sepulchre and the 14th century priest's door to the south.